It is a cookie! It is a candy! It is two treats in one. 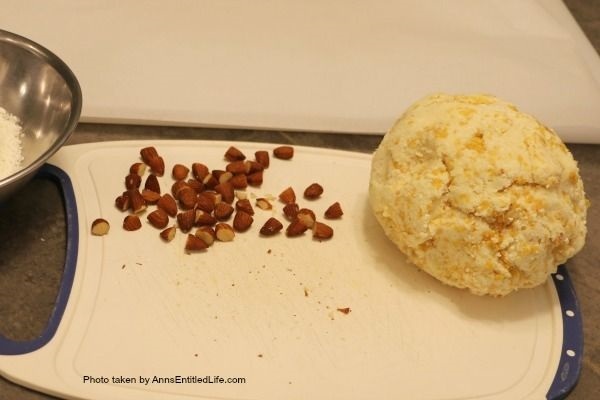 This is an easy to make, creamy and delicious no-bake coconut ball recipe with a nutty surprise in the middle. These coconut balls are delightful sweet treat your whole family will enjoy. Yum! 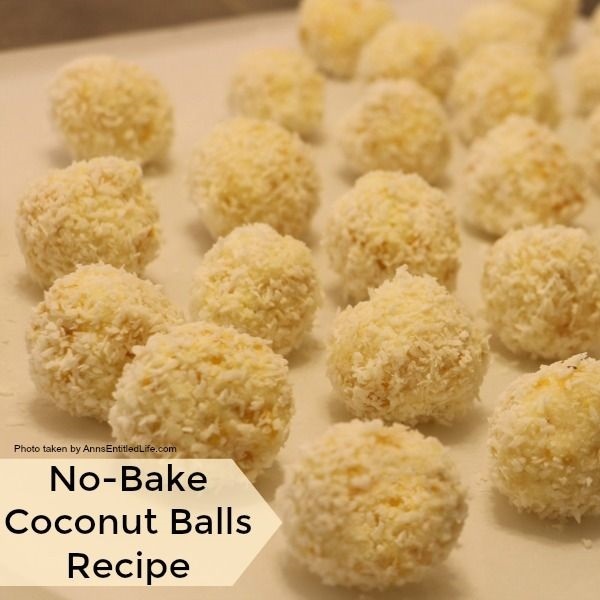 These No Bake Coconut Balls are unique. And simple to make. The only thing you want to be sure of is that your unsweetened coconut flakes are fairly small. The Bob’s Red Mill shredded, unsweetened coconut is tiny enough to use without having to run your unsweetened shredded coconut through the mini processor. Hubby says these remind him of the Toasted Coconut Good Humor Bars that were sold off the Good Humor truck when he was a kid. 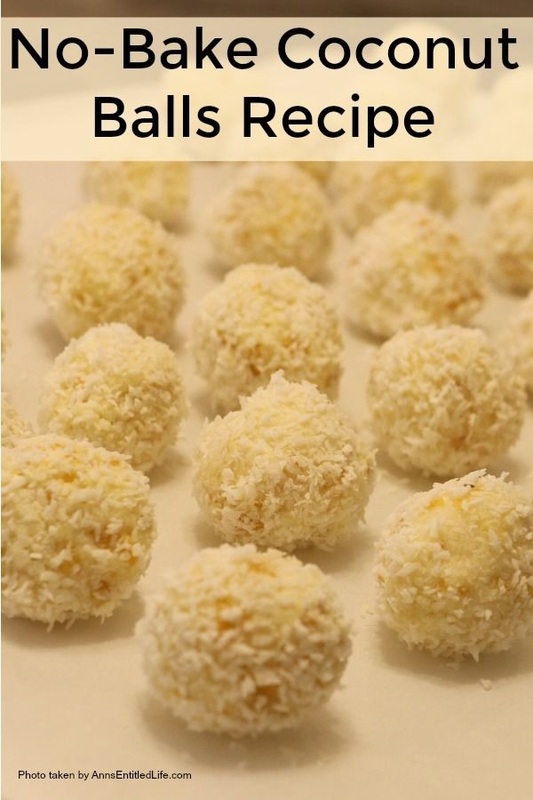 Hubby adores these No Bake Coconut Balls. I have given them away to people who do not like sweets, who do like sweets, and people who fall in between. These have been universally loved by all! Give ’em a try. They are truly easy to make, and will last in the fridge for up to a week so you can make them ahead of time for a party or work function. • Crush your corn flakes (give them a 10 second pulse in your mini food processor), set aside. 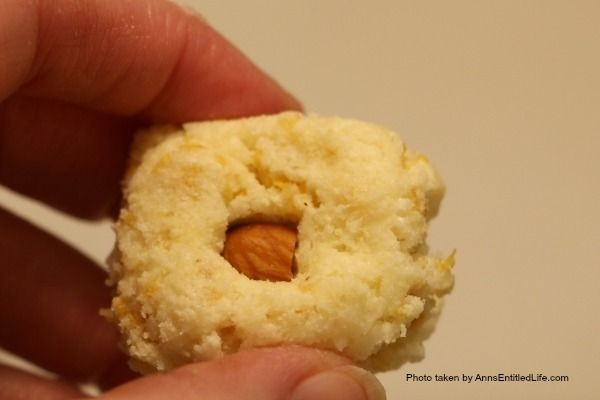 • Cut your almonds in half width-wise (not lengthwise), set aside. • Using a stand mixer, beat together sugar and butter, until the texture is fluffy. • By hand, mix dry powdered milk into the butter mixture. • Add the crushed corn flakes, almond extract and 1 ½ cups of shredded coconut flakes to the butter mixture, mixing by hand until a ball is formed. • Place your remaining shredded coconut into a small bowl. 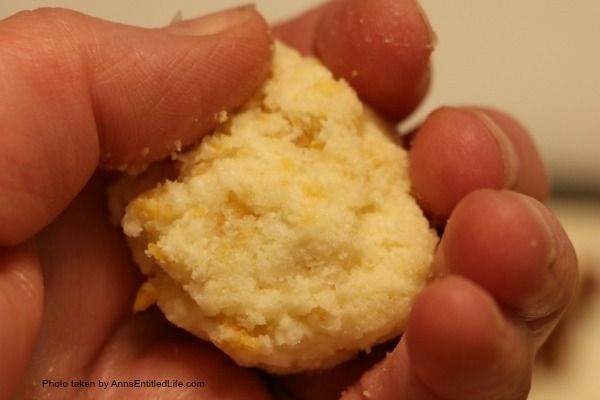 • Scoop out a tablespoon of coconut ball dough mixture, and place it in your hand. • Insert one of your half-nuts into the middle of the dough ball in your hand. • Close the dough around the nut until it is completely covered. 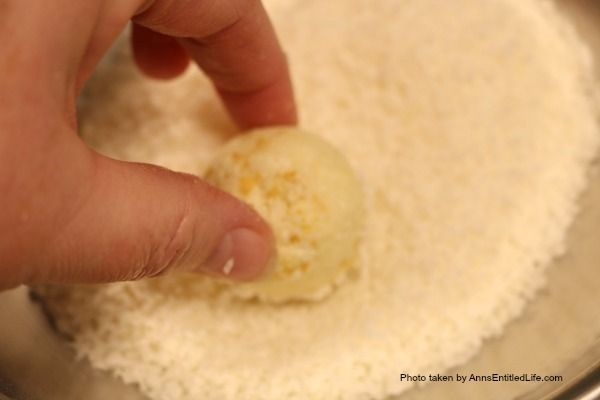 • Now, roll that dough mixture between your palms until it forms a round ball. 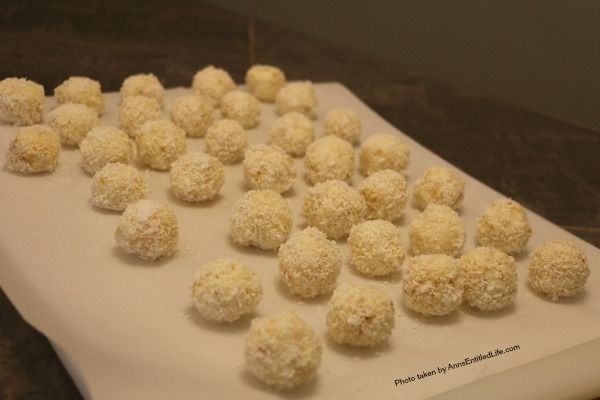 • Roll your coconut ball in the small bowl of shredded coconut, covering completely. 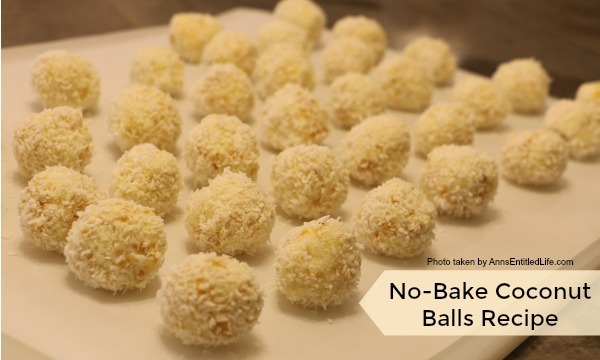 • Place cookie balls on a parchment covered plate/counter, and allow to set up for a few minutes. • By the time you are done rolling the last coconut ball, the first one should be firm enough to move and store without getting squished. • Store in the refrigerator in an air tight container for up to one week. • No Bake Chocolate Oatmeal Cookies Recipe – Quick, easy to make, and very kid friendly, these No Bake Chocolate Oatmeal Cookies are absolutely delicious. • No Bake Peanut Butter Corn Flake Bars – Mix up a batch of these old-fashioned No Bake Peanut Butter Corn Flake Bars on a hot summer day. Fast and simple to make, your family will love every delicious bite! • No Bake Pecan Praline Bourbon Balls Recipe – these are out-of-this-world delicious, and oh so easy to make! These look super yummy – LOVE no bake treats!! These look delicious. I have not had anything like them, but I want to try them out! Oh… My… Goodnes….!!! These are dangerous! I would be afraid of how many I pop in my mouth as I make them!! Thanks for sharing at our Living With Style Linky Party. Be sure to come back next week!! I absolutely love coconut, can’t wait to try these!